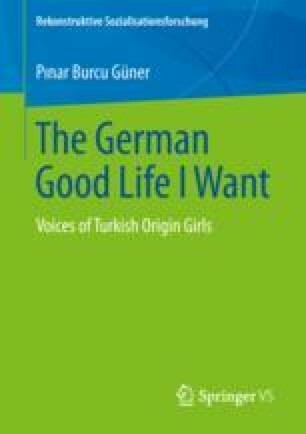 The data were interpreted through the lenses of contemporary issues in the German society such as discourses on integration, educational opportunity, exclusion, inclusion, citizenship, and belonging. I conceptualized the girls’ interpretation of their reality as being affected by school discourse. I discussed that the schools’ discourse was rooted from the main debates in German society on immigrants and immigration.